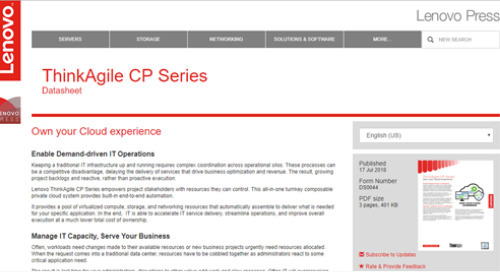 Product datasheets provide an overview, features and benefits, and specifications. 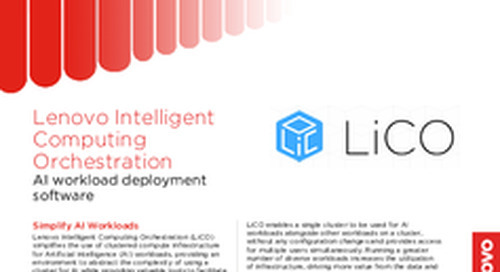 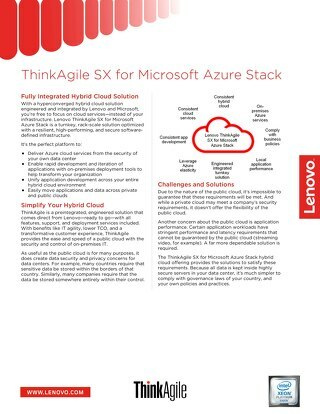 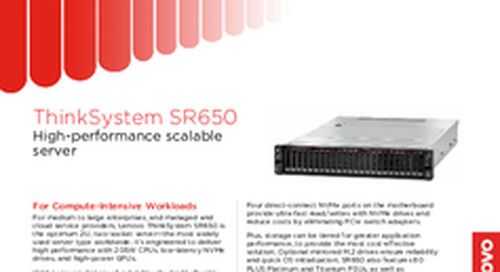 Designed to tackle entry cloud, hosting, file serving, and scale-out workloads. 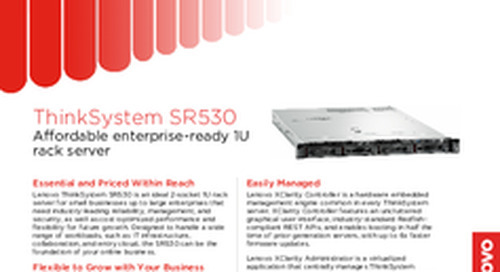 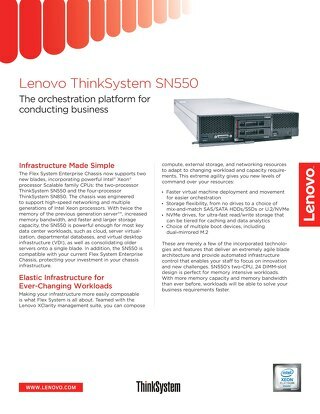 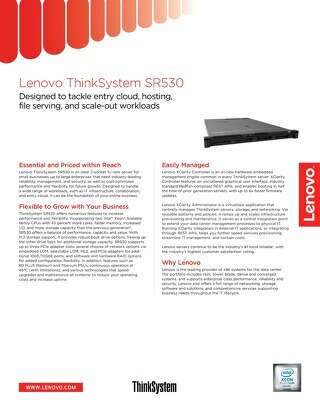 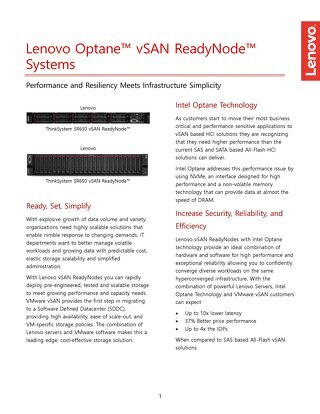 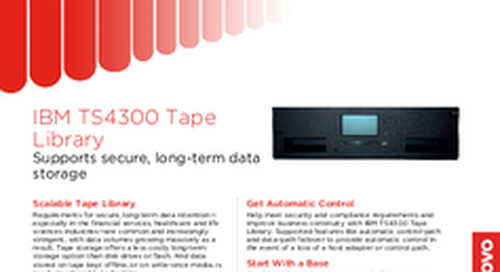 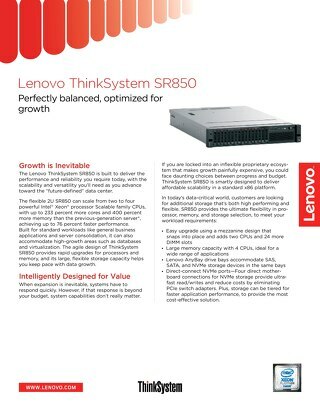 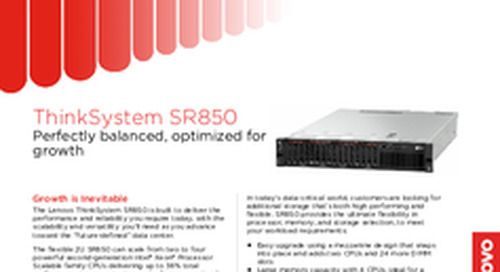 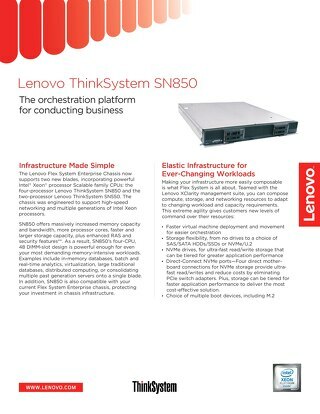 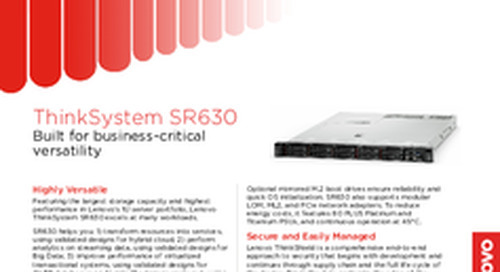 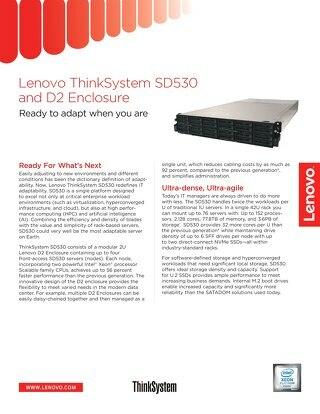 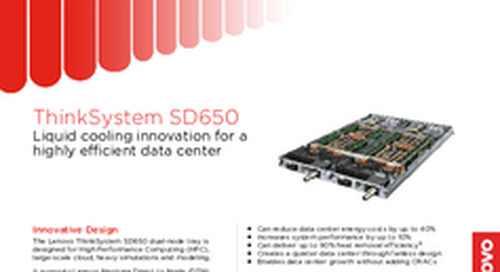 Lenovo ThinkSystem SN550 is optimized for virtualization, performance, and networking. 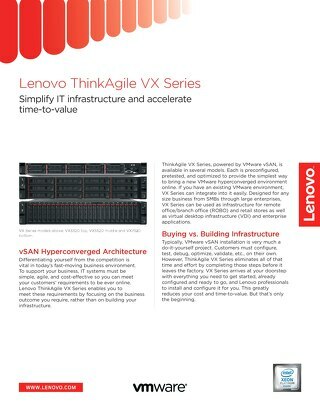 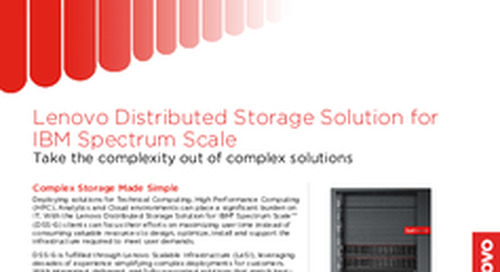 Simplify IT infrastructure and accelerate time-to-value. 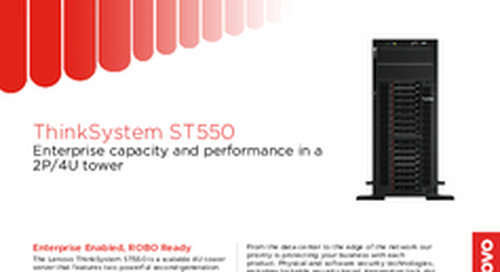 Lenovo ThinkSystem ST550 provides enterprise performance and flexibility and a compact footprint.